Here at TDC Services we are constantly researching, reviewing and testing the range of Ice Blasters available on the market. This allows us to ensure that our customers always receive the most reliable and effective Ice Blaster for their purpose. Our sales advisors are familiar with a wide range of situations for the use of Ice Blasters and can offer the customer informed and correct advice on which product is best for them. 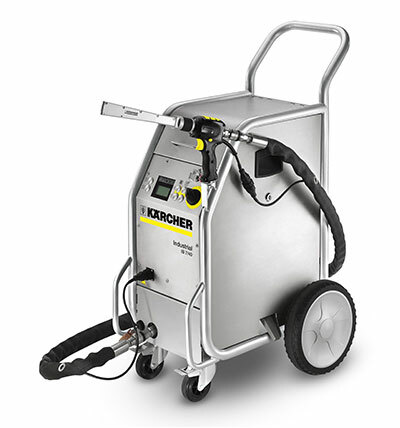 Currently the range of Ice Blasters that we have available come from the established companies of Karcher and Aquila Triventek. 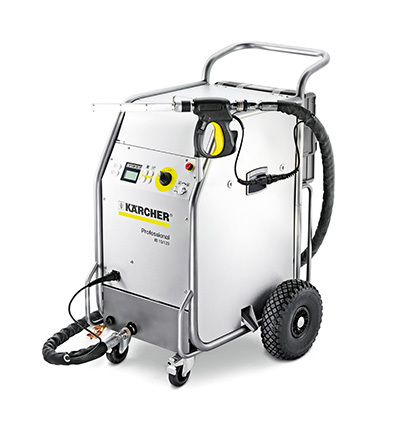 The new, lighter and more compact Karcher IB 7/40 offers many of the benefits of the larger machine but can be run from a much smaller compressed air supply, therefore making it ideal for use with in-house compressed air systems. The new IB 15/120 blaster is even more powerful than its predecessor and also features a robust design and extremely reliable technology. 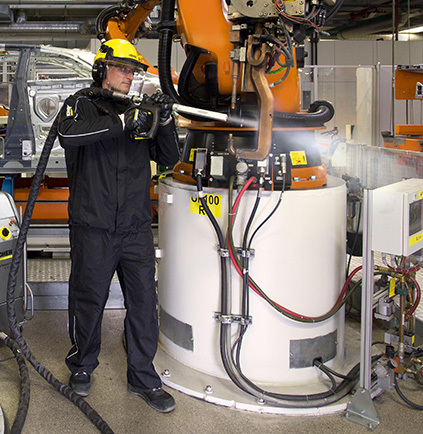 Each year since the introduction of Dry-Ice Blasting, Aquila Triventek has made innovative steps towards making this technology more affordable, yet with higher performance. 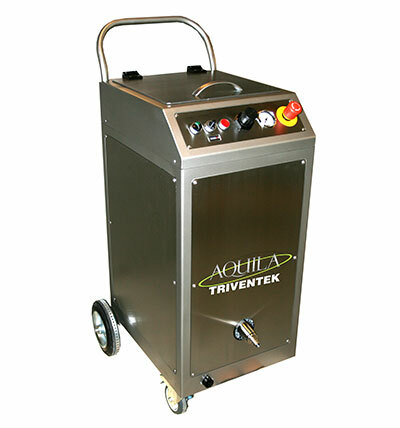 NOW, Aquila Triventek is proud to offer the next step forward! 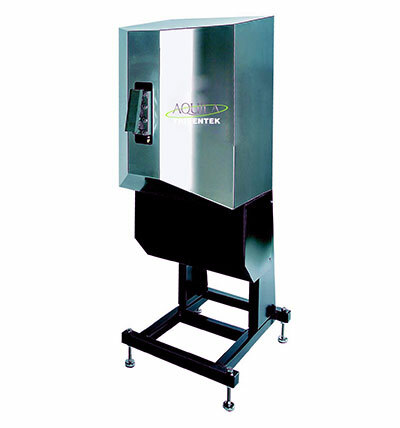 The pelletizer enables the user to manufacture high density dry ice as and when he wants it, on site. It’s dry ice ‘on tap’. 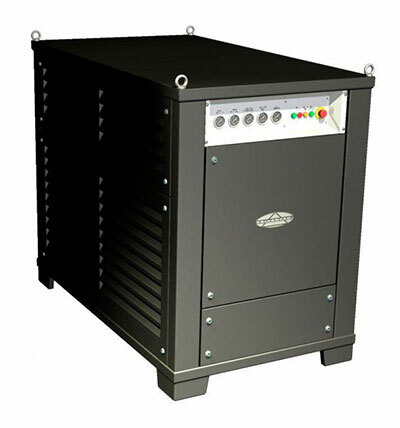 It improves logistics, flexibility, quality and environmental sustainability. Also good for the chilling application. New technology recycles waste gas from the Pelletizer and can halve the cost of dry ice production. 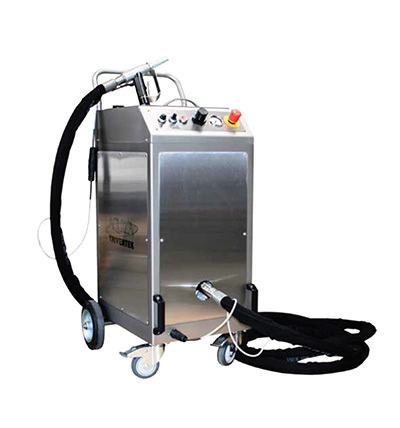 This machine has been especially designed to keep a high cleaning efficiency with relatively limited volume or flow of compressed air.